I have been pretty busy with work, but I have had the chance to make a couple of cards. 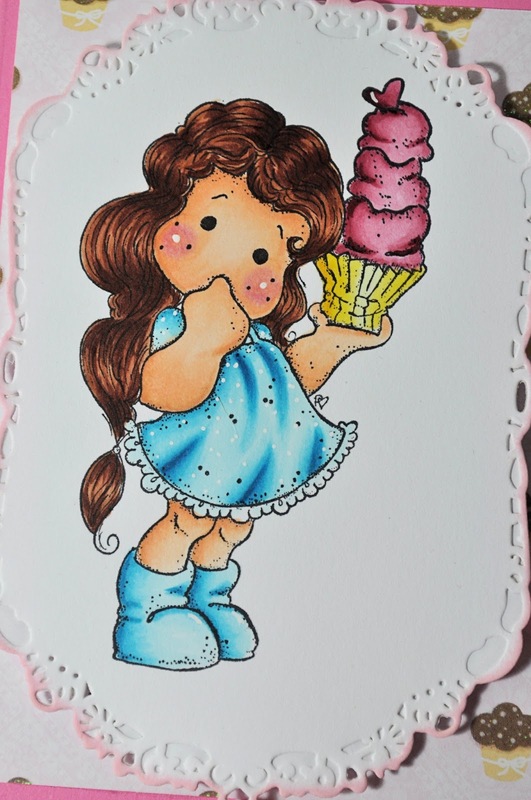 I love Tilda with Big Ice Cream and matched it up with some paper from DCWV called The Sweet Stack. I colored Tilda with Copics and used some Spellbinders dies to make a frame for Tilda and the sentiment. The sentiment is from Stampin Up. I will list the Copics and dies at the bottom for those interested. A close up of Tilda…….. Thanks Kelly! I thought summer was never going to get here! Not a very good pool year so far this year! LOL! Very pretty card! Your coloring is beautiful. 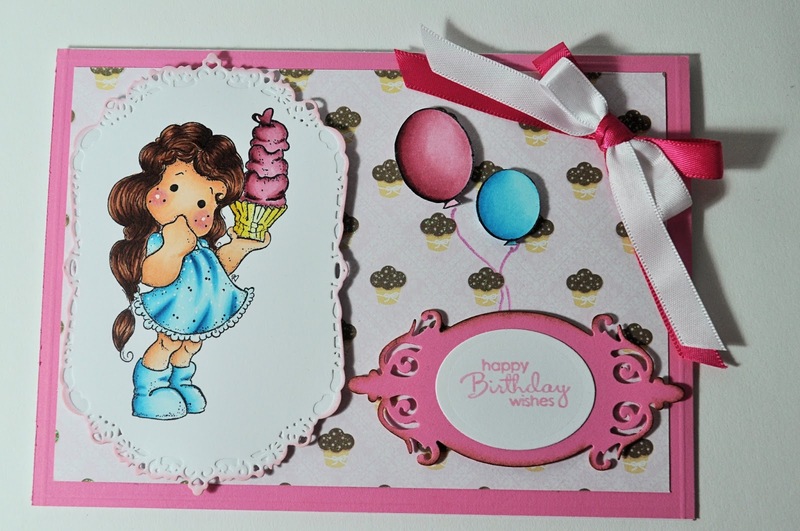 What a sweet card and you have colored up that Tilda so beautifully! 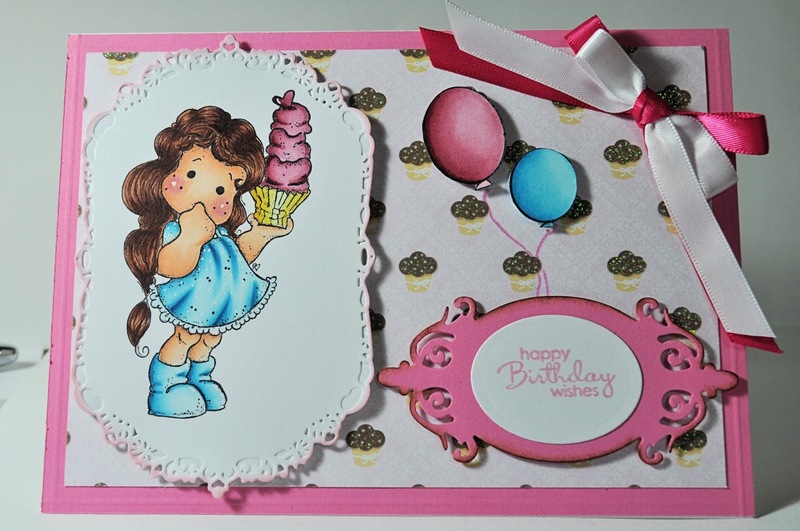 love your sweet Tilda coloring and card Nancee! Beautiful work!